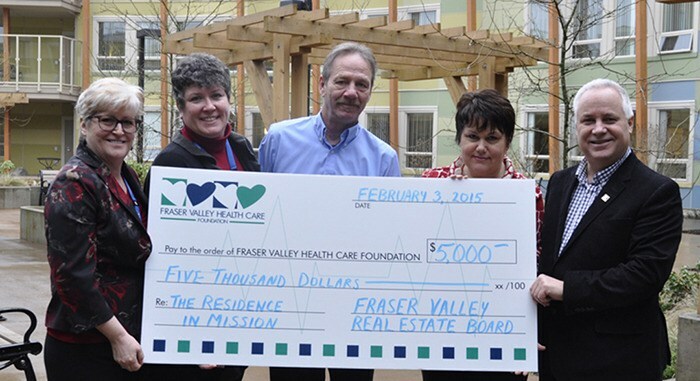 The Fraser Valley Health Care Foundation in Mission received a $5,000 boost from the Fraser Valley Real Estate Board this month. The money will be used to help furnish The Residence with up-to-date health care equipment and other comforts for residents. The facility, which opened last year, is operated by Fraser Health and provides support to seniors with complex care needs and dementia, and patients suffering from brain injuries.